Modern conservatives should abandon economic dogma and find pragmatic solutions for “ordinary working people” if they want to wrest the agenda from the populists rattling political systems from Washington to London and beyond. 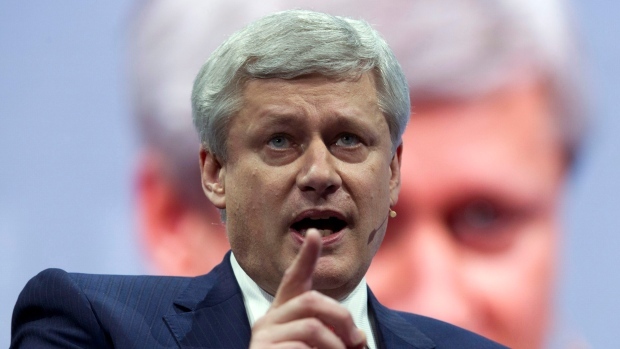 That’s the conclusion of Stephen Harper in a new book published Tuesday. 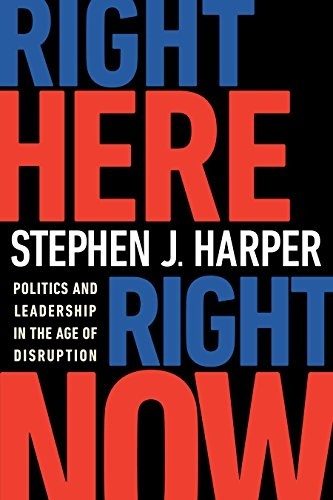 In “Right Here, Right Now,” the former Canadian prime minister addresses the growing disaffection in Western countries, and the ensuing political disruption. Harper, the second-longest-serving conservative leader in Canadian history, is currently chair of the International Democratic Union, the main global alliance of center-right parties founded in 1983 by Margaret Thatcher, Helmut Kohl and Jacques Chirac, among others. Harper offers up a treatise on how the movement should proceed in the face of economic forces that have fueled anti-establishment sentiment in the U.S. and Europe. For example, he attributes the rise of Donald Trump partly to the failure of U.S. conservatism, which has used 1980s policies -- cut taxes, deregulate, privatize, open markets -- to deal with modern problems. The issues affecting Americans today, such as immigration, unbalanced trade relations and stagnant wages, require different solutions, he says. In Harper’s book, Trump often fares better than establishment Republicans. While the U.S. president is short on practical solutions, at least he had better insights into the electorate and gave voice to Americans, ignored by both Republicans and Democrats, who suffer from stagnant incomes and are increasingly anxious about technological and cultural change. The book lists his achievements uncritically: broad-based tax cuts went to individuals and families as well as business; economic interventions were carried out when necessary, as in the case of the auto bailout and prohibitions on Chinese investment; competition was introduced into the country’s telecom industries; environmentalists were prevented from hurting the economy; immigration policy was tailored to fit economic necessity. While moderate forms of right-wing populists and nationalists have made recent inroads into Canadian policy, the country has largely been spared much of the anti-establishment turmoil seen elsewhere. Harper attributes this in part to him leaving the economy in good shape and with gains widely-shared. Harper saves his derision for the center-left and liberals, who he claims have become “distinctly corporatist,” with elite business connections and a predisposition toward anti-nationalism, cultural relativism and international institutions. In fact, the bigger threat for Harper is not that Trump succeeds but that he fails, opening the door to a more dangerous left-wing version of populism.